Marygrove was the Recipient of the Sixth Annual Playground Build! The children and staff at Marygrove were honored and thrilled to be chosen as the recipient of such a wonderful initiative! 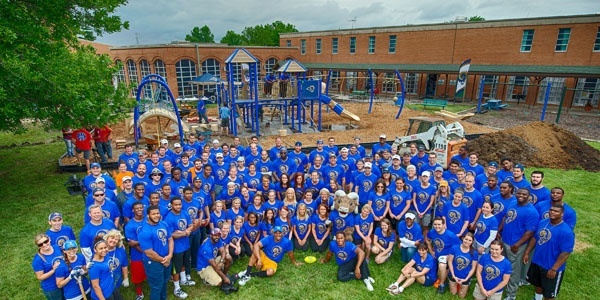 On June 11, 2014, staff and volunteers from the St. Louis Rams, Lowe’s, Dr. Pepper Snapple Group, Hutchinson Recreation & Design, Inc and Perficient converged upon the Marygrove campus and installed a state of the art playground facility, designed and painted a wall mural, tidied up the patio landscaping and painted in each of the on-campus cottages. 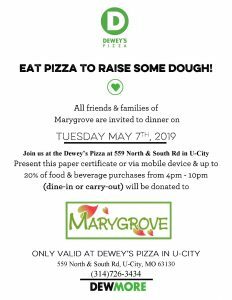 “Like” us on Facebook and follow us on Twitter for updates on this and other activities going on at Marygrove.